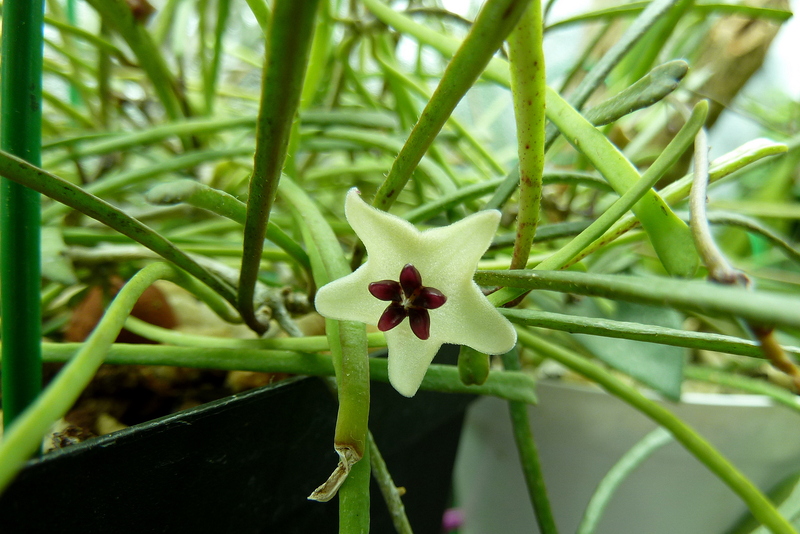 Hoya retusa is a small leafed Hoya from India, that except for the flower, looks nothing like the rest of the plants in the genus. 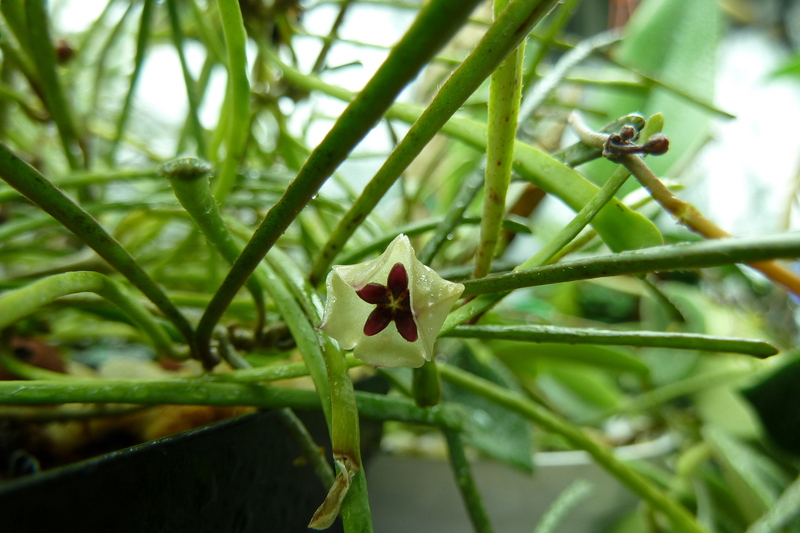 It is a cool grower – mine only took off and bloomed after exposing it to temps in the 50’s at night. I think that it really needs a temperature differential between night and day in order to bloom. It will bloom under artificial light, because that is how I bloomed my plant. 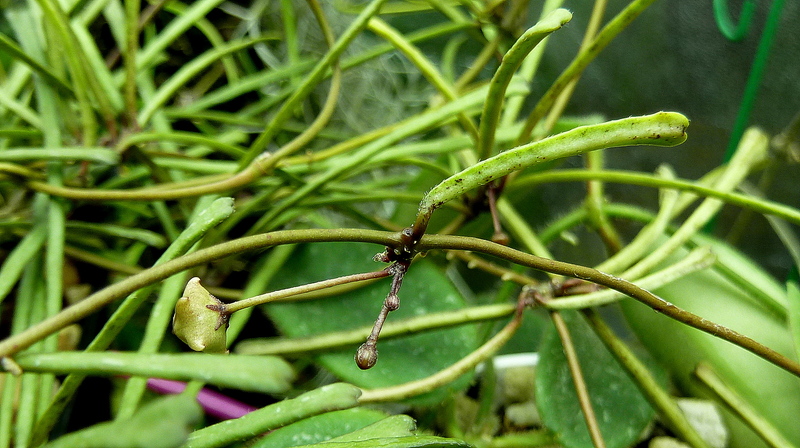 When I moved my plant inside from the greenhouse it was fully budded up, but the change in conditions made all of the developing buds drop off. Only when the temps in my basement grow tent fell into the 50’s at night did it rebud and bloom. 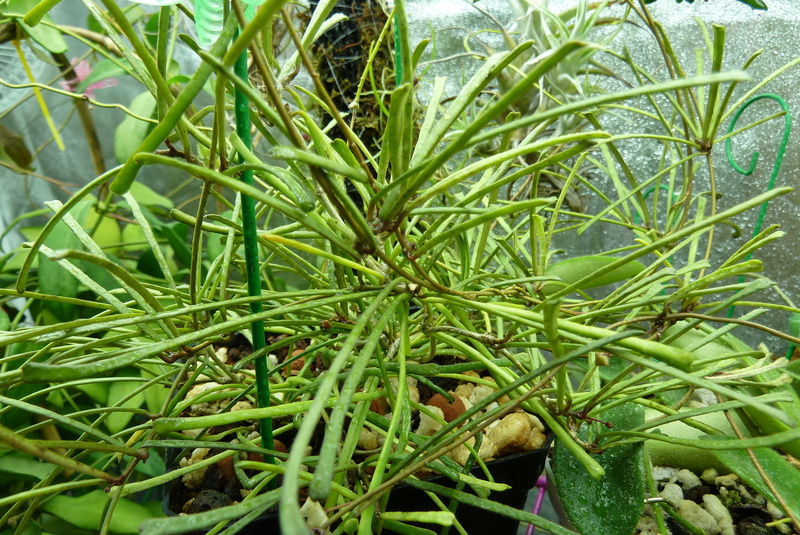 This plant is a nice looking specimen to play around with if you have suitable conditions.